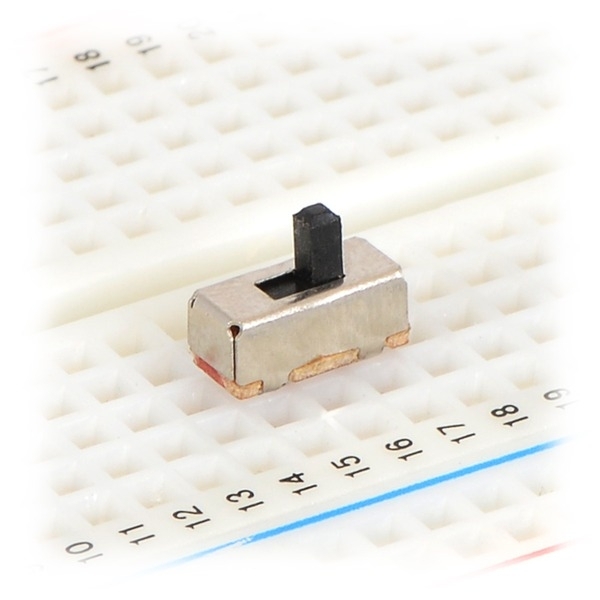 These small single-pole, double-throw (SPDT) slide switches are rated for 300 mA at 50 VDC and have a 0.1″ pin spacing that works with standard solderless breadboards. 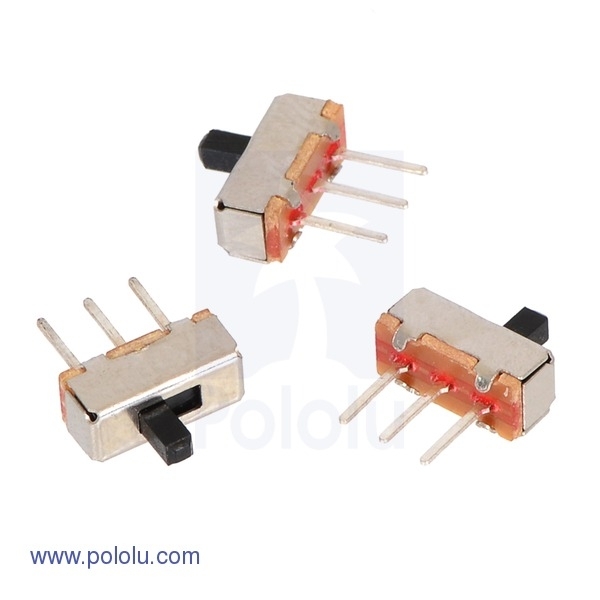 Used alone, they make great on/off power switches for low power electronics or offer a convenient way to switch between two analog or digital input signals. The switch can also be combined with a MOSFET to make a higher-power switch (see our Zumo Robot for an example). They are sold in packs of 3, so ordering one of this product gets you three switches.